I’m bloomin’ delighted (sorry, couldn’t resist!) to welcome Abbie from Bloomin’ Brilliant Books to to the blog today. Thanks for agreeing to be part of my Blogger in the Spotlight feature Abbie. First of all, would you tell me a little about yourself? My name is Abbie, I’m 40 years old and I’m from Hull. I’m hu-mum to a 7 year old husky x malamute and a 4 year old malamute. I have always loved reading and have read since being a child and I also love Rock music (favourite band is AC/DC). I loved Paddington Bear and the Mr Men books as a small child. As I got older I loved Roald Dahl, my favourite being The Twits, Finn Family Moomintroll by Tove Jansson and Enid Blyton. I have always loved reading and talking about books and I started reviewing on Goodreads. I have an appalling memory and tend to lose track of what I have read, so started a Facebook page. I loved the other blogs I had seen but never thought I would be able to build a site myself, but with encouragement from my hubby I did it. Obviously I love the reading and discovering new authors. I really enjoy thinking about what I’m reading and then writing about it. It’s been great meeting, albeit via social media, other bloggers and authors. Well, it’s very new at this point in time (July) it’s only been up and running for two months. I would hope that my reviews are thoughtful. I love to discover new authors and feature debut novels. I read quite a lot of different genres so hope that anyone reading it will find a book they love. I plan on featuring more author Q&A’s, which I really enjoy and hopefully people enjoy taking part in them. Aargh, I’m so rubbish at selling myself as I automatically go shy! What’s your favourite book you’ve reviewed in the past year? Or favourite three if you really can’t choose. Oh my God, there have been so many great books this year already! I have been really impressed with the debut novels I have read. My favourite three books so far would have to be The Trouble With Goats and Sheep by Joanna Cannon, My Husband’s wife by Jane Corry and Lying In Wait by Liz Nugent . 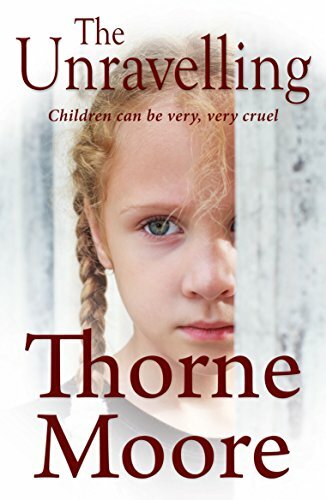 It’s the end of July 2016 and I’m currently reading The Unravelling by Thorne Moore. A fantastic domestic noir, a genre I am really enjoying at the moment. I read both books and kindle. I read a book on my kindle during the night and a book during the day. I love my kindle, but you can’t beat the feel, smell and look of a book. I read mainly at night in bed, but also in the bath and on the loo! Ooh this is difficult as I tend to like quite depressing books that don’t have a happy ending so I am likely to end up with a tragic end, so I think I will be Enzo the dog from The Art of Racing in the Rain because I like dogs hahaha. Nice spotlight! 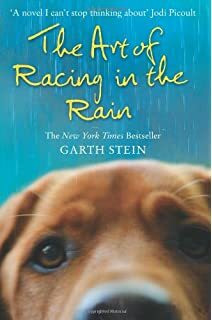 I really enjoyed the Art of Racing in the Rain – took me a while to actually pick it up since it was written from the perspective of a dog but it exceeded my expectations!